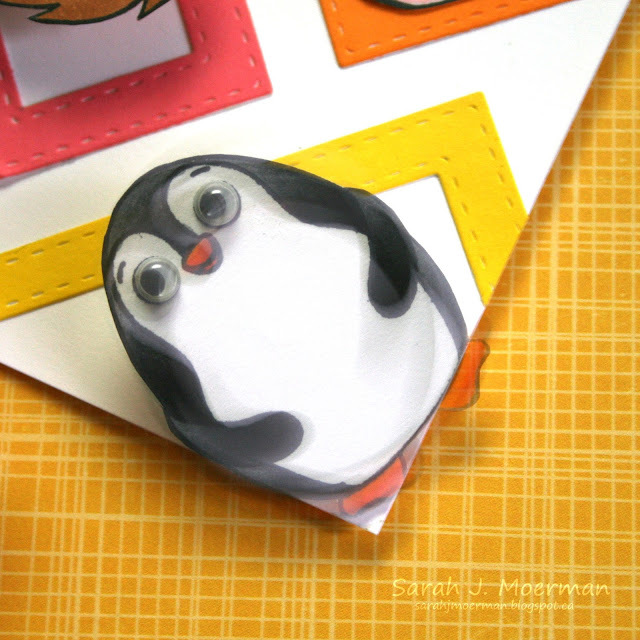 I'm stopping by to share another card featuring the adorable Simon Says Stamp April 2017 Card Kit: Wild and Colorful. I coloured the sweet animals with Copic Markers and gave them all Googly Eyes. Some of them had their heads trimmed off and propped up with Simon's Action Wobble Springs The window frames were diecut using Simon's Stitched Rectangles Dies. The blue frame was cut from Simon's Island Blue Cardstock while the others were cut from Neenah Solar White Cardstock and inked up with Simon's Fresh Fruit Hybrid Ink Cube Set. If you're interested, you can pick up the Simon Says Stamp April 2017 Card Kit: Wild and Colorful for just $29.95 + shipping. If you'd like to receive this kit and future kits for only $24.95 + shipping per month, you can SUBSCRIBE HERE. 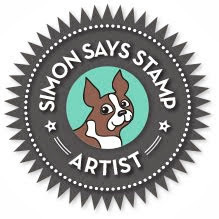 Heidi, owner of Simon Says Stamp, has given me an extra Simon Says Stamp April 2017 Card Kit to pass on to one of you! 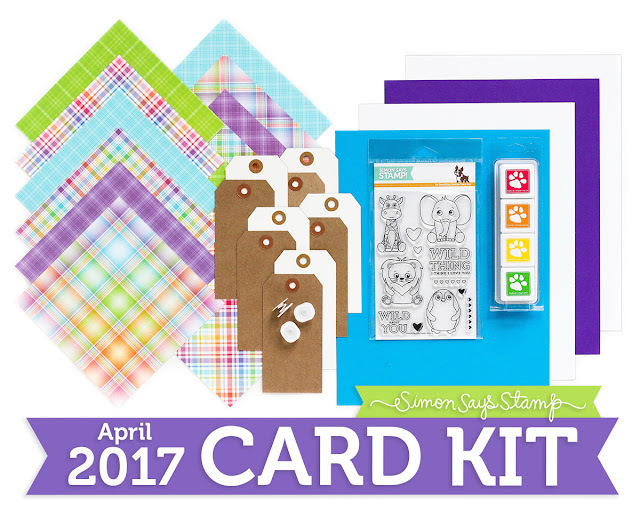 Just leave a comment on any or all of my April 2017 Card Kit posts and I'll announce a winner Wednesday, March 29th. You made a beautiful card! Children would like the animals with wobble springs! I'm sure! Very cute card. I love all the animals popping out of the frames and the bright colors. Your card is gorgeous! I LOVE how you used the frames to make the blocks of colour - definitely going to try this myself! The critters are adorable! Thanks for inspiring! Your card is so cute! I love all the adorable critters, especially the elephant. Great coloring!!! Oh, I have two grandkids who would LOVE to receive this card! The wiggly eyes are too cute! 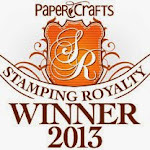 I have ordered my stamp set and can't wait to get it. Love what you did with the stitched rectangles, too. 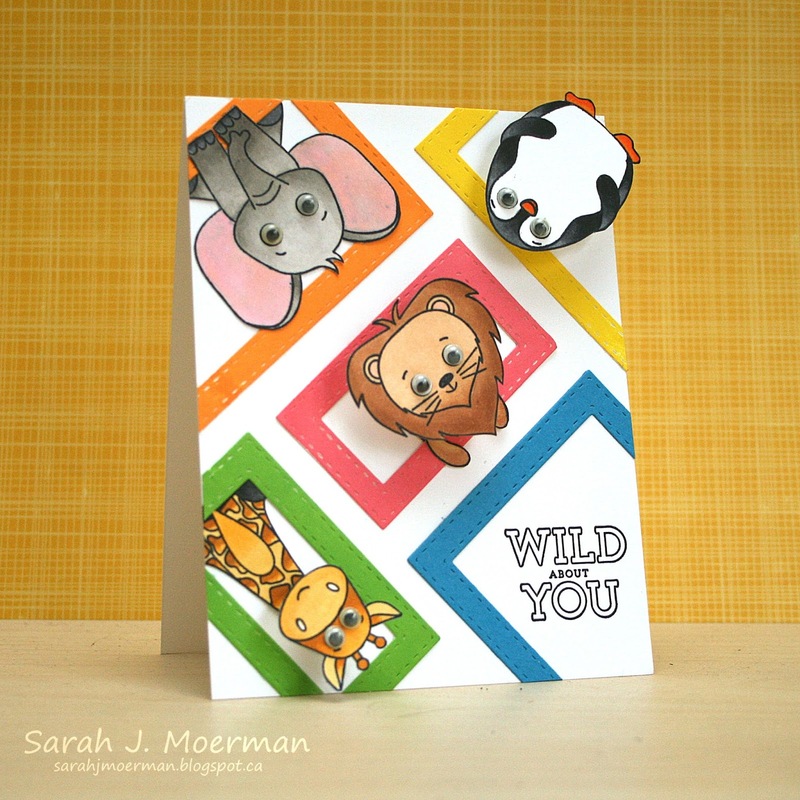 Sarah, that is super adorable and fun card with those animals. Love it! Your card is soooo adorable. Love the frames around each of the animals. Your card is a slam dunk! There is nothing to NOT like about it. It's fun, made me giggle out loud, is perfectly constructed & colored...just adorable. I know lots of kids who'd love to get this, but I also think a lot of adults would chuckle like I did. Googly eyes and wobbly heads are always good for a laugh. Nicely done, as always. Aww-the cutest-love all the colourful frames and the cute critters with google eyes!! So sweet! Love the colourful frames and the wobble action! I love how you framed up these cuties! And they wobble...how fun! What a sweet card....that would be a BIG smile on my granddaughters face. I especially love that they wobble. 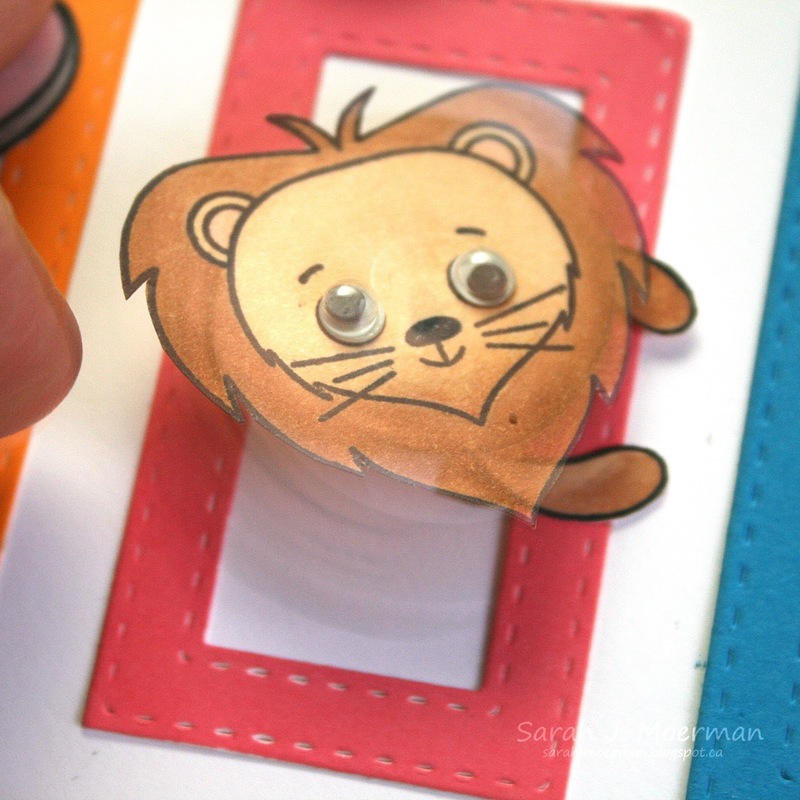 Can cards get any cuter than this? I don't think so, this is darling!!! I love that you make each of those little characters wobble. So cute and fun! Love all the animals...soooo cute! Great Card! Thanks! I am so in love with that giraffe! I am in love with this card design! It's INGENIOUS! All of the colors are gorgeous! Oh yes! This is adorable! Googly eyes for everyone. This card is adorable! I love how colorful it is too. SSS has the best kits! Always something fun to play with that you might not have in your stash. Love the card and love the kit! 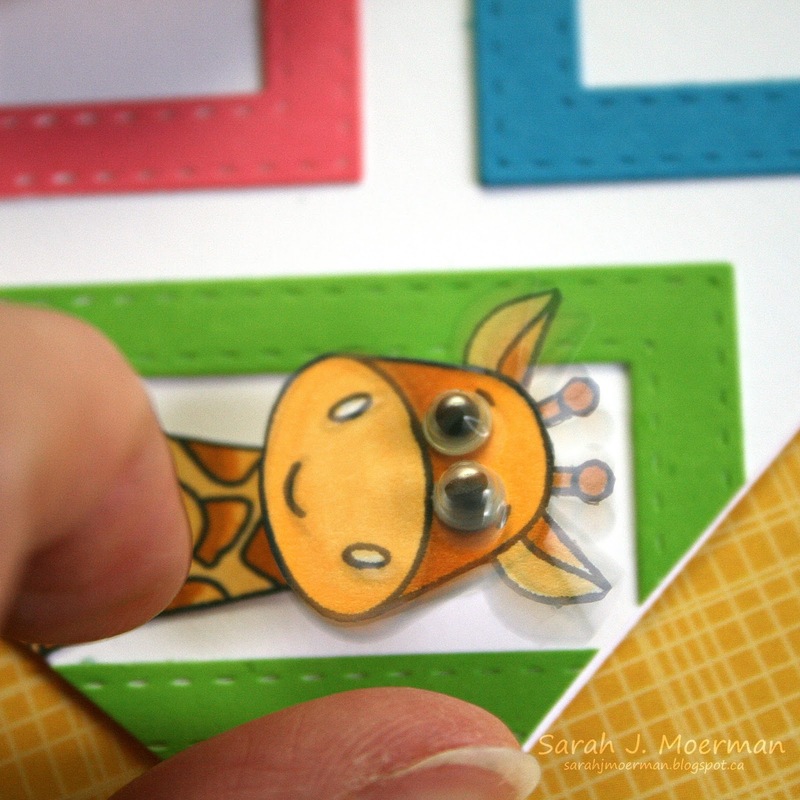 What a great idea for this kit and several other stamp sets that I have- can't wait to make some cards with this!